Last we heard from almost-president Mitt Romney, he was drowning his sorrows in pizza and the Twilight saga. The downward spiral continued yesterday in California, where Reddit user mkb95 spotted the once-proud man pumping his own gas, sans security, with his normally immaculate coif dangling loosely over his forehead like Obama gave him a noogie. 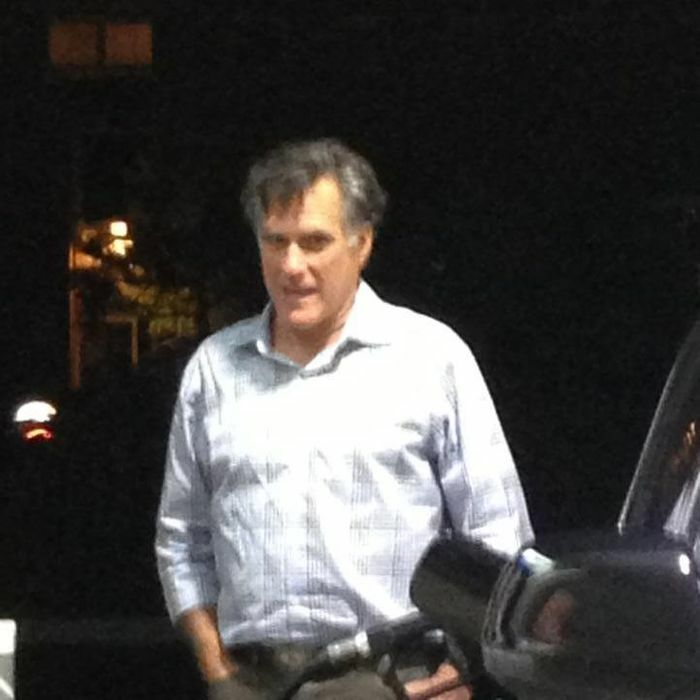 “I talked to him for a good three minutes while he was filling his tank,” the photographer said. “I guess he’s moving to one of his houses in the town I live in, La Jolla,” where maybe a few rides on the car elevator could cheer him up.